An animation of a rotationally symmetric ambigram for the word "ambigram". Another ambigram for the word "ambigram" with different letter transformations from the ambigram above. An ambigram is a typographical design or art form that may be read as one or more words not only in its form as presented, but also from another viewpoint, direction, or orientation. The words readable in the other viewpoint, direction or orientation may be the same or different from the original words. Douglas R. Hofstadter describes an ambigram as a "calligraphic design that manages to squeeze two different readings into the selfsame set of curves." Different ambigram artists (sometimes called ambigramists) may create completely different ambigrams from the same word or words, differing in both style and form. The earliest known non-natural ambigram dates to 1893 by artist Peter Newell. Although better known for his children's books and illustrations for Mark Twain and Lewis Carroll, he published two books of invertible illustrations, in which the picture turns into a different image entirely when turned upside down. The last page in his book, Topsys & Turvys contains the phrase THE END, which, when inverted, reads PUZZLE. In Topsys & Turvys Number 2 (1902), Newell ended with a variation on the ambigram in which THE END changes into PUZZLE 2. From June to September, 1908, the British monthly The Strand published a series of ambigrams by different people in its "Curiosities" column. Of particular interest is the fact that all four of the people submitting ambigrams believed them to be a rare property of particular words. Mitchell T. Lavin, whose "chump" was published in June wrote "I think it is in the only word in the English language which has this peculiarity," while Clarence Williams wrote, about his "Bet" ambigram, "Possibly B is the only letter of the alphabet that will produce such an interesting anomaly." In 1969, Raymond Loewy designed the NEW MAN logo, which is still in use today. 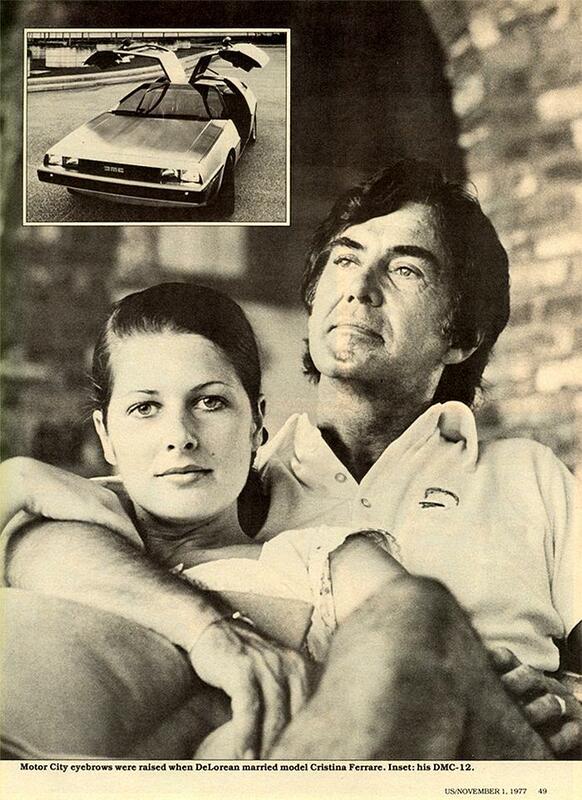 The DeLorean Motor Company logo was first used in 1975. John Langdon and Scott Kim also each believed that they had invented ambigrams in the 1970s. Langdon and Kim are probably the two artists who have been most responsible for the popularization of ambigrams, but other artists, notably Robert Petrick, who designed the Angel logo in 1976, also claim to be independent inventors. The earliest known published reference to the term "ambigram" was by Hofstadter, who attributed the origin of the word to conversations among a small group of friends during 1983–1984. The original 1979 edition of Hofstadter's Gödel, Escher, Bach featured two 3-D ambigrams on the cover. Ambigrams became more popular as a result of Dan Brown incorporating John Langdon's designs into the plot of his bestseller, Angels & Demons, and the DVD release of the Angels & Demons movie contains a bonus chapter called "This is an Ambigram". Langdon also produced the ambigram that was used for some versions of the book's cover. Brown used the name Robert Langdon for the hero in his novels as an homage to John Langdon. In music, the Grateful Dead have used ambigrams several times, including on their albums Aoxomoxoa and American Beauty respectively. A rotational ambigram for the word "Vegas"
A mirror-image ambigram for the word "Wiki"
A design that presents several instances of words when rotated through a fixed angle. This is usually 180 degrees, but rotational ambigrams of other angles exist, for example 90 or 45 degrees. The word spelled out from the alternative direction(s) is often the same, but may be a different word to the initially presented form. A simple example is the lower-case abbreviation for "Down", dn, which looks like the lower-case word up when rotated 180 degrees. A design that can be read when reflected in a mirror, usually as the same word or phrase both ways. Ambigrams that form different words when viewed in the mirror are also known as glass door ambigrams, because they can be printed on a glass door to be read differently when entering or exiting. A design in which the spaces between the letters of one word form another word. A design where a word (or sometimes words) are interlinked, forming a repeating chain. Letters are usually overlapped meaning that a word will start partway through another word. Sometimes chain ambigrams are presented in the form of a circle. Similar to chain ambigrams, but tile to fill the 2-dimensional plane. An ambigram in which all the letters are made of the same glyph, possibly rotated and/or inverted. WEB is an example of a word that can easily be made into a spinonym. Previously called rotoglyphs or rotaglyphs. A version of space-filling ambigrams where the tiled word branches from itself and then shrinks in a self-similar manner, forming a fractal. See Scott Kim's fractal of the word TREE for an animated example. A design where an object is presented that will appear to read several letters or words when viewed from different angles. Such designs can be generated using constructive solid geometry. A design with no symmetry but can be read as two different words depending on how the curves of the letters are interpreted. A natural ambigram is a word that possesses one or more of the above symmetries when written in its natural state, requiring no typographic styling. For example, the words "dollop", "suns" and "pod" form natural rotational ambigrams. In some fonts, the word "swims" forms a natural rotational ambigram. The word "bud" forms a natural mirror ambigram when reflected over a vertical axis. The words "CHOICE" and "OXIDE", in all capitals, form natural mirror ambigrams when reflected over a horizontal axis. The word "TOOTH", in all capitals, forms a natural mirror ambigram when its letters are stacked vertically and reflected over a vertical axis. An ambigram that, when rotated 180 degrees, can be read as a different word to the original, e.g., swoop and dooms. An ambigram that can be read one way in one language and another way in a different language. Multi-lingual ambigrams can exist in all of the various styles of ambigrams, with multi-lingual perceptual shift ambigrams being particularly striking. There are no universal guidelines for creating ambigrams, and there are different ways of approaching problems. A number of books suggest methods for creation (including WordPlay). and Eye Twisters. Computerized methods to automatically create ambigrams have been developed. The earliest, the 'Ambimatic' created in 1996, was letter-based and used a database of 351 letter glyphs in which each letter was mapped to another. This generator could only map a word to itself or to another word that was the same length: because of this, most of the generated ambigrams were of poor quality. In 2007, the Glyphusion generator, was developed. It uses a more complex method, with a database of more than 400,000 curves, and has two lettering styles. ^ Borgmann, Dmitri (1965). Language on vacation: An olio of orthographical oddities. Scribner. p. 27. ISBN B0007FH4IE. ^ OMNI magazine, September 1979, work of Scott Kim. ^ Kim, Scott (1980). Inversions: Catalogue of Calligraphic Cartwheels. McGraw-Hill Inc., US. ISBN 0070345465. ^ "Retrieved March 3, 2009". Raymond-loewy.un-jour.org. http://raymond-loewy.un-jour.org/biographie_raymond_loewy.html. Retrieved 2009-07-21. ^ "Retrieved June 14, 2009". Wired.com. 2009-01-04. http://www.wired.com/culture/art/multimedia/2009/04/pl_arts?slide=6&slideView=3. Retrieved 2009-07-21. 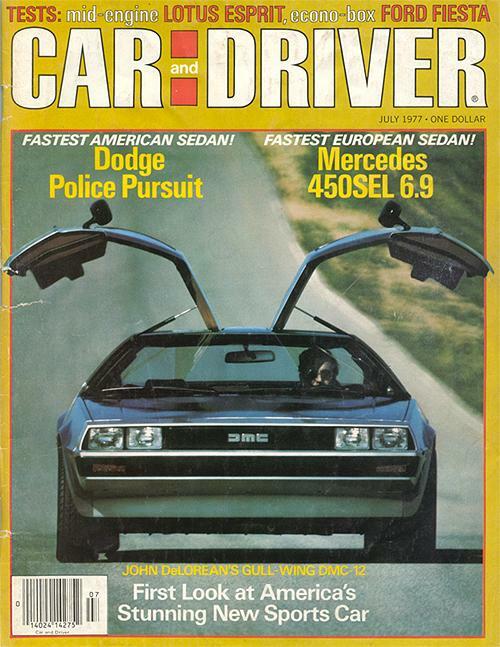 ^ Car and Driver, July 1977, showing photograph of 1975 prototype; Us Magazine, Nov 1, 1977, showing photograph of 1975 prototype. In 1977, only the single 1975 prototype existed. Note that there are multiple visible differences between the prototype vehicle and later production models, including the design of the front end. ^ a b "The doodle bug". The Telegraph. April 11, 2005. ^ Douglas Hofstadter. "Origins of the word Ambigram" (e-mail message to David Holst). http://ambigramania.com/articles/entry/Origins-of-the-word-Ambigram-. Retrieved March 17, 2010. ^ "As a tribute to John Langdon, I named the protagonist Robert Langdon.". Popularculture.it. http://www.popularculture.it/museo_virtuale/pagine/dan_brown.html. Retrieved 2009-07-21. ^ See Hofstadter, Ambigrammi, p. 48. ^ Langdon, John. WordPlay. Bantam Press. ISBN 0593055691. ^ Polster, Burkard. Eye Twisters. Constable. ISBN 184529629X. ^ a b Polster, Burkard. Eye Twisters. Constable. pp. 174–176. ISBN 184529629X. Look up ambigram in Wiktionary, the free dictionary. customambigrams.com by graphic artist Clayton Mabey. goodandeviltwins.com by Ambigramist Damian Lakey. This page was last modified on 31 August 2011 at 12:01.